Israel is one of the most beautiful countries in the World, we all know that. However, is it family-friendly? Will there be enough activities to keep your kids satisfied and entertained? Basically, can you take your children with you on your trip to the Holy Land of Israel? Our answer is – of course, you can! 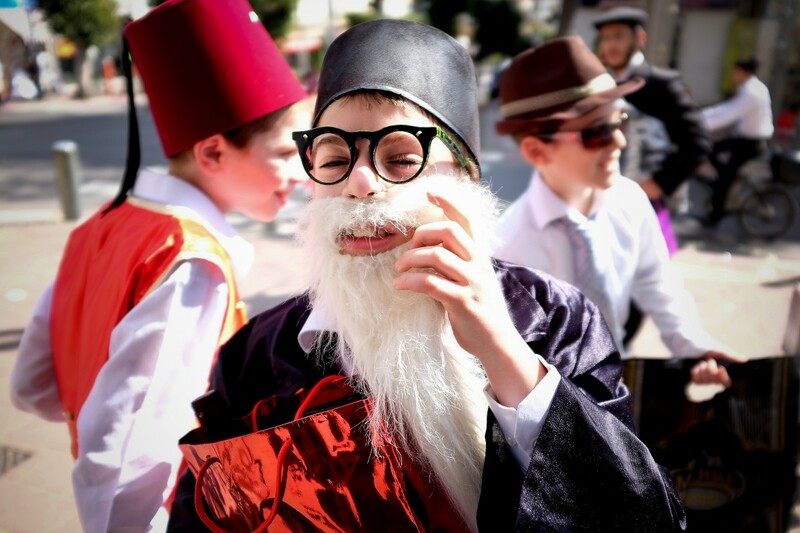 Almost all events in Israel are family-friendly. Even though people often connect Israel with religious festivities and places, this country is much more than that. we cover 7 subjects of Things To Do With Children in Israel. It has a lot of National and water parks, Science Museums and a bunch of other cool activities to make both you and your children entertained. Even the lengthy flight doesn’t have to be a deal-breaker because the kid-friendly activities in Israel are numerous and well worth the trip. So, what are the most interesting children-activities when visiting Israel? Read on and you’ll find out! The Park is open every day but you should visit the site before you plan your trip because sometimes, there are private events held at this Water Park. Their website is well organized and the contact numbers are easily reachable. As far as the park itself is concerned, you can spend the entire day without leaving the facility. However, you can find some recreation or shopping activities in the vicinity of the Water Park. There’s the Hutzot Shefayim shopping mall five minutes from the park. Also, there’s a national park called Hof Hasharon where you can gaze and admire the beautiful scenery from a 40m cliff or walk along the paths which are suitable for children as well. If you’re visiting Israel, mainly Tel Aviv and Netanya with your children, this park should be a vital part of your itinerary. next on our list of Things To Do With Children in Israel, Located in the heart of Tel Aviv’s amazing Yehusua Gardens, the Meymadion is the biggest water park in the country. It has more than 5000 chairs all over the park and a huge number of slides for your kids to enjoy. Meymadion also contains facilities such as soccer, basketball and volleyball courts. The admission price is 117 shekels which equals 42 CAD. From 13:00h, the price is 97 shekels = 35 CAD. The park is open from 9 am to 5 pm. There are numerous activities for you and your children at Meymadion. It’s easily reachable and fully equipped to keep you amused all day long. Luna Gal is a Water Park located in the eastern part of Sea Of Galilee. It is the oldest major water park in Israel. It has many different and exciting rides including a 40-foot-high Typhoon ride. However, if that’s too dangerous for you and your family, Luna Gal offers shallower pools and safer slides with appropriate, gentle decoration. All additional information can be found on their website – http://www.dugal.co.il/. All in all, Luna Gal is a wonderful destination for the whole family. The popular Biblical Zoo is located in Jerusalem. It’s one of the most interesting tourist attractions And things To Do With Children in israel, and it offers activities for people from the age 1-99. Creators of this zoo wanted it to be as close to nature as possible so the animals could enjoy the zoo almost as if they were in their natural surroundings. The zoo has plenty of family-friendly activities but activities for children stand out. Petting zoo, instructed animal feeding and many different workshops and tours are only a couple of things your kids will love if you visit this zoo in the southwest part of Jerusalem. The highlight of the Biblical Zoo is taking a visit to Noah’s ark. The zoo’s visitor center is shaped like Noah’s ark which is symbolic because the zoo itself tends to preserve the endangered species just like Noah wanted. The zoo covers amazing 62 acres of land where a number of pools, ponds and wonderful lawns have found their home. The zoo is open Sundays to Thursdays from 9:00 am to 5:00 pm. On Fridays 9:00am – 4:30pm and on Saturdays from 10:00am to 5:00pm. The admission price is 55 shekels for adults and 42 shekels for children(3-18), people with disabilities, senior citizens, soldiers and police officers. This attraction is also known as Safari Ramat Gan and it is the biggest zoo in the Middle East. Furthermore, these zoo has the largest collection of animals in this area. What makes this place so special is the fact that the animals can roam around the park which gives them a unique feeling of their natural habitat and the visitors can feel the true spirit of the African safari in the middle of Israel. Besides the Safari park, inside the Zoological Center in Tel Aviv, you will find a small but pretty organized zoo. The zoo is located just outside Tel Aviv in a city called Ramat Gan. Inside the African Safari Park, you can see more than 1600 animal species. not to miss when looking for things To Do With Children in israel, Even though its name may suggest otherwise, Gan-Garoo Australian park is a unique zoo located far away from Australia. Around four acres of land in Israel host free-roaming kangaroos which you can pet and even feed. Learn more about this wonderful species and spend a day looking at species that live only in Australia. It is located on the Mediterranean coast and it represents an ancient city which was formed by King Herod the Great. It has been thoroughly reconstructed and today it hosts many exhibitions and amazing shows. It also has a number of cafes, restaurants, and galleries where you can spend your day. Its wonderful site enables it to host events and concerts regularly throughout the year. The third largest city in Israel, Haifa, lies on the northern part of Mount Carmel. This exquisite mountain gives a terrific view of the Haifa Bay. A vast number of species blossom each spring, giving this mountain range an astonishing and breathtaking landscape. Near Mount Carmel, you can visit Zichron Yaakov which is one of the first modern settlements in Israel and one of the wine growing towns in this area. One of the most important places and an inevitable part of your travel to Israel is Masada. It is a UNESCO World Heritage Site but the iconic meaning of Masada to the Israeli is worth much more than this recognition. This fortress has a great strategic location since it’s located in the Negev Desert and provides amazing landscape views of the Dead Sea and Jordan. Even today, soldiers are sworn in here and you can climb the peak of the fortress with a cable car. Bloomfield Science Museum is definitely an institution, in every sense of this word. The object of this museum I to ameliorate the interest of people in science and technological systems. However, the Bloomfield Science Museum is primarily a family-friendly museum which has a goal to promote science, technology, and friendship. The highlight of your trip to Bloomfield Science Museum is definitely the bubble exhibition where visitors are allowed to create huge bubbles. That’s the main advantage of this science museum. It lets the visitors actively participate in the exhibits. One of the main attractions outside Tel Aviv and Jerusalem is certainly MadaTech. Madatech is Israel’s National Museum of Science, Technology, and Space and the largest science museum in the Holy Land. Dating back from 1983, MadaTech has always been a landmark. There’s a huge campus on 7 acres in near the center of Haifa where a palm tree planted by possibly the greatest scientist ever still stands. Albert Einstein planted a palm tree in 1923 and that’s probably why this place was chosen to be the place of the most popular science museum in Israel. Visitors are able to use the parking lot outside the campus. when looking for Things To Do With Children in Israel, notice that MadaTech is always crowded with different groups. Mostly educational visits and sessions bring more than 400.000 guests to this museum each year. At least 20 exhibitions are always active, featuring more than 650 exhibits. If you can’t find it here, it hasn’t been invented yet! MadaTech speaks the latest words of technology! The Clore Garden of Science is a one of a kind outdoor science museum. When I say one of a kind, I mean it. This is the only museum of this type in the world. It has more than 80 hands-on exhibits, all placed on 800 square meters of green lawns. All of the exhibits are interesting and show the power and all the amazing features of our planet and life in general. The exhibits can be stimulated so that they provide magnificent spectacles. The solar furnace which lights up a fire, sprinklers that form a full-circle rainbow and a simulation of walking on the moon is certainly something that will keep both you and your little ones entertained. This museum received an Award for the biggest Innovation in the world of science by ASTC in 1999. Make sure you check out why! The Israeli Children’s Museum is an institution which was created to promote tolerance and understanding among the children of Israel. It was established in 2001, and since then more than 2.5 million people from all over the world have visited it. It offers a large diapason of activities and adventures which will light all of your senses but also teach you a lot of new things. People who established Israeli Children’s Museum had an idea to teach children via experience and guided exhibitions. That’s why all activities and exhibitions require pre-booking. You’ll agree that children can learn faster through experiencing exhibitions rather than looking at static and generic images. one of the top Things To Do With Children in Israel, Jaffa port is always an option and a wonderful one, to be honest. However, in 2001, the authorities in Tel Aviv have decided to create one additional attraction where you can spend the day with your family. Namal Tel Aviv or the Tel Aviv Port offers a huge number of activities and we’ll point out to just a few that might be of interest to you. 100 million was invested in the Tel Aviv Port to revamp it and to turn it into a tourist attraction it is today. There are many markets and outlet centers to enjoy and shop at bargain prices. However, what’s the most important thing, it has plenty of activities to keep your children busy. Three large playgrounds spreading over 9 km with all sorts of activities for your little ones. We would like to point out to the Dyada center which is located in the middle of the port boardwalk. Here, you can let your children go wild or teach your little ones how to swim. Of course, none of this compares with the view and the landscape of Tel Aviv’s sunsets. Check it out. I guarantee you that neither you nor your children will be disappointed. Besides activities including dolphins, Reef Eilat offers other activities for children and grown-ups such as a photo center beneath the water and a pleasant restaurant to relax and have brunch with your family. One of the Best Things To Do With Children in Israel is The Luna Park in Tel Aviv, Which is a well-known amusement park located in Israel. The attractions are added each year and the existing ones are upgraded to a whole different level. The best time to take your kids would probably be in the early evenings when all the lights are up and they can be amazed by the light show spectacle. Moreover, you can find snacks, drinks and everything you might need for hours of fun and amusement. By visiting the Luna Park, you’re also helping a good cause since each year, this amusement park hosts the less fortunate ones and people with disabilities. A visit to Luna Park in Tel Aviv has always been and always will be extremely amusing! next on our list of things To Do With Children in Israel Entertainment Town was founded in 1975 and it is one of the most famous amusement parks in Israel besides Luna Park in Tel Aviv and Superland in Rishon le Zion. Their goal has always been continual development of entertainment parks in Israel and raising the bar for security and amusement for their customers. looking for Things To Do With Children in Israel, You probably haven’t been to a safer park than Superland. Each ride is carefully analyzed by specialists to keep your children safe while taking the most amazing rides in Israel. The maintenance is run daily making sure that all of the visitors get a comfy feeling without having to worry about their level of safety. The rides are suitable for everyone. From toddlers to teenagers and from teenagers to seniors. We’re sure that Kumba is one of the most famous roller coasters in the world. That’s why it’s a must visit for you and your kids. Besides Kumba, you’ll find another extremely exciting rollercoaster called Anaconda. Finally, make sure you don’t miss Top Spin which is a unique experience in the Luna Park. Kiftzuba is an amusement park which provides more than 30 rides and games which will keep the whole family occupied. • Go sponge ball shooting. Have your kids shoot each other with soft sponge balls. It is safer than it sounds, trust me. All of the activities are perfectly safe and maintained by specialists daily. • Play arcade games – Here’s something for people of all ages. Pinball and ski-ball machines, video games for people of all ages. • Organize an event, such as the birthday of your child or a school field trip if you’re a teacher. • Play in the game rooms of Kiftzuba. There are game rooms for both children and adults. Highest technology is up for grabs in the game rooms of Kiftzuba. Sensory musical experience, ballrooms and much more for your kids and Xbox and PS machines for you. While looking for Things To Do With Children in Israel, Keeping your children amused is usually parents’ number one priority when on a trip. If you have worried that there’s not so much to do with children in Israel, we have proven you wrong. There are many family-friendly activities in Israel. Israeli people are really welcoming and want you to have the time of your life while you’re there. Visit Israel with your kids and the journey will be memorable. Remember, the best plan when visiting Israel starts with booking your Simpatic Israeli Sim Card. The SIM card will keep you carefree and enable you to enjoy your vacation to the fullest.